Our Congratulations to the Men’s 1st XI and Ladies 2nd XI on gaining promotion from Southern 1 and Sedgemoor 2 respectively. Both teams went on to be named as joint winners of SOHC’s Team of the Year Award. The Men’s final game against fellow title contenders Taunton Vale 2nds was a close afair (SOHC leading 2-1 at half time) but Taunton Vale sealed the top spot in Southern 1 by edging us out 4-2 by the final whistle. Both teams will cross swords again in Conference South next season. The Men’s 1sts have now won promotion in two successive seasons! After their final game on 30th March, The Ladies’ 2nds also find themselves promoted, probably to Sedgemoor 1. 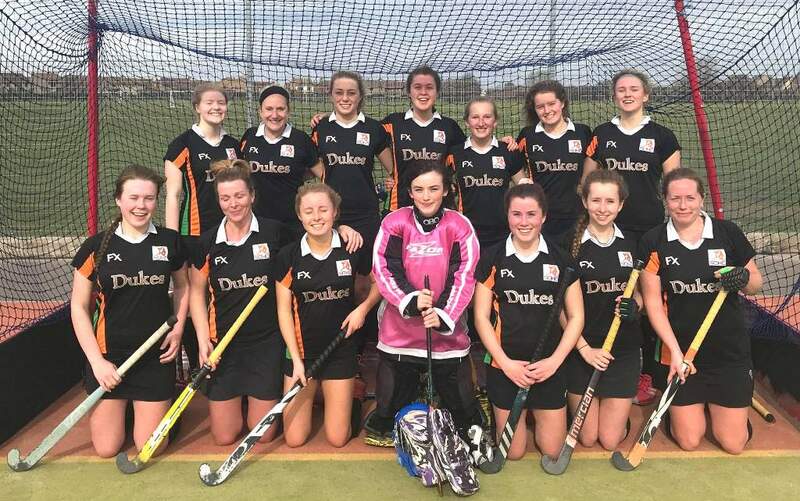 Although they finished runners-up behind Weston-super-Mare 2nds, they achieved unbeaten status over the season, with very impressive stats – WON 18, DRAWN 4, GF 107, GA 12 (GD 95); in their home games they scored 62 goals and conceded just 3!